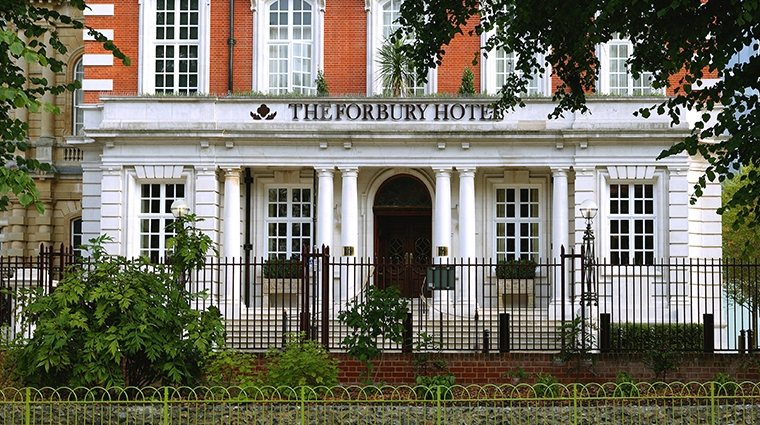 The Forbury Hotel, situated 40 miles from London in the buzzing town of Reading, is a dashing British getaway. The century-old red brick building first functioned as a county hall and became a luxury 23-bedroom boutique hotel in 2006 with much (and continued) fanfare. 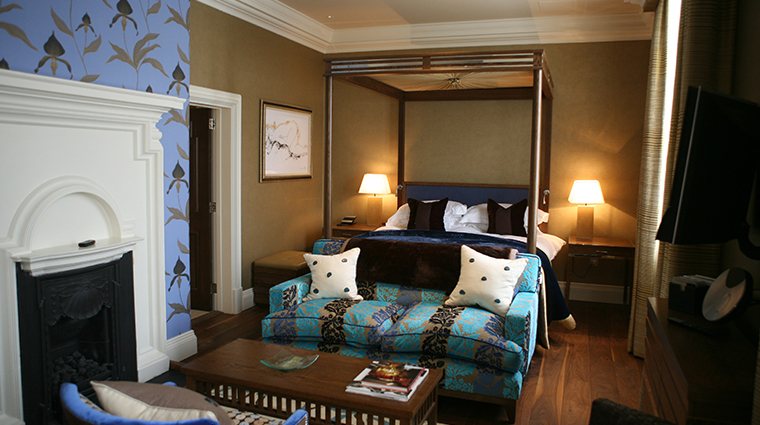 Today, The Forbury holds the distinguished title as Reading’s sole true luxury hotel, where traditional country house comfort meets high art and contemporary flair. Common areas are swathed in muted purples, creams and eye-catching patterns, and each room has its own eclectic palette and décor. Art connoisseurs will rejoice in the original contemporary British artworks featured in all rooms and throughout the property. The Reading hotel also hosts one of the hottest dining spots in the city, Cerise, where the region’s movers and shakers congregate and dine on modern European fare or sip on one of Cerise’s specialty gin and tonics from the top-rate cocktail bar. A four-story, cascading chandelier composed of 86,000 Italian glass beads is a brilliant stand-in for the space once occupied by the building’s elevator shaft. Art lovers will undoubtedly feel at home as the hotel is full of original works; don’t miss British artist Claire Norrington’s large bronze sculpture of a woman and bird on the ground floor common area. Enjoy being in the middle of it all, as the hotel is a stone’s throw away from Reading’s compact but bustling city center. Cerise, The Forbury’s modern European restaurant and cocktail den, is the epicenter of the area’s social scene. Coming and going from London is a breeze, as there are several non-stop trains that will get you to Reading Station in just 30 minutes; from there it’s a brisk eight-minute walk to the hotel. For those who enjoy great views, ask for a room that faces the stately Forbury Gardens, positioned directly in front of the hotel. The spacious Forbury Suite is a popular favorite, with double-height ceilings, a stylish king four-poster bed and a shower/steam room with twinkling, colorful LED lights overhead. The Penthouse Suite is the hotel’s ultimate accommodation offering; the two-bedroom suite has its own sauna and floor-to-ceiling windows and spacious balconies that give way to panoramic views of the city. 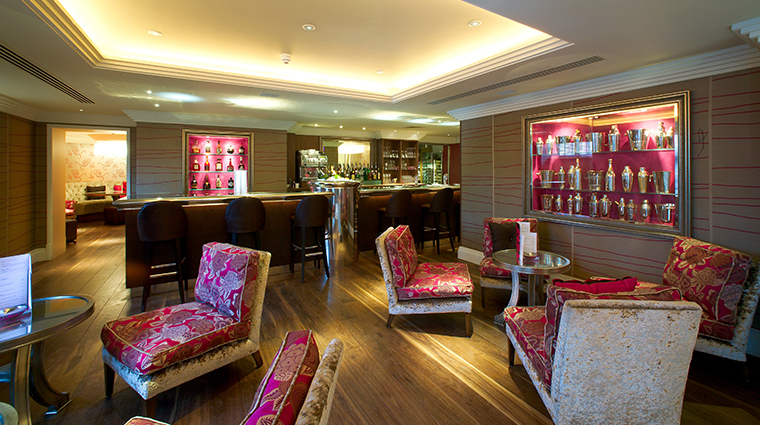 Weather permitting, the outdoor Secret Garden enclave is the loveliest place in the hotel to dine or enjoy a cocktail. All rooms include a sleek Bang & Olufsen audio-visual system with an in-room selection of DVDs, as well as heated floors and separate bath and walk-in rain shower. Country house-meets-eclecticism in the rooms’ decor, with floral wallpaper in muted hues, original wall paintings and furnishings with unexpected pops of color in rich fabrics. 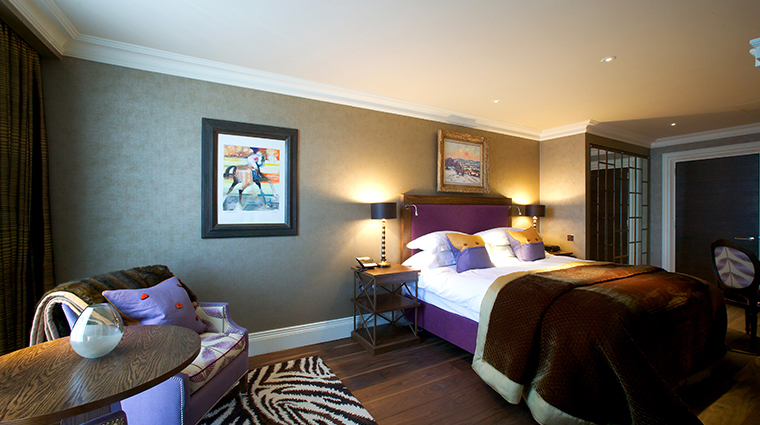 Suites include gorgeous bronze tabletop animal sculptures, like the horse in one of the Junior Suites and a prowling tiger in the Forbury Suite. Beyond the rooms and suites in the main hotel, The Forbury also has The Forbury Apartments, a modern collection of 16 two-bedroom serviced apartments adjacent to The Forbury. Cerise the restaurant is down on the basement level of the building. It’s a sultry space with room for dining as well as tippling at the long pewter bar. 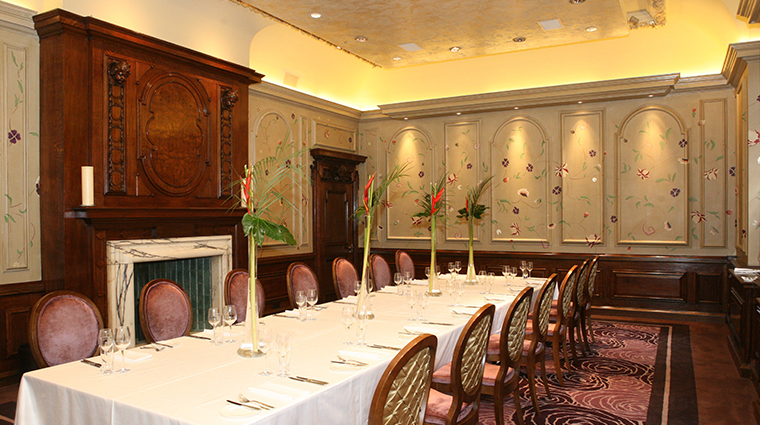 It’s open for breakfast, lunch and dinner, plus a traditional English afternoon tea. The seasonal international menu features dishes like chicken liver parfait, wild mushroom risotto, braised ox cheek and a golden beetroot soufflé with Greek yogurt and lemonade.